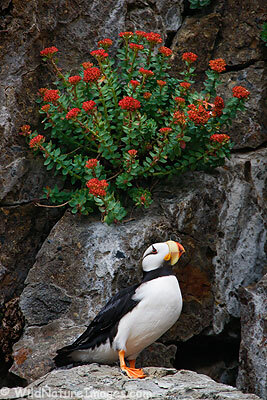 More Horned Puffin from Lake Clark National Park, Alaska. 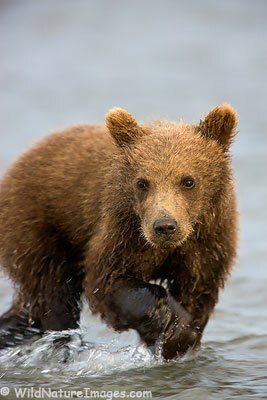 Brown Bear cub, Lake Clark National Park, Alaska. These guys are really cute! This is a different cub from the last post – they are really fun to watch. 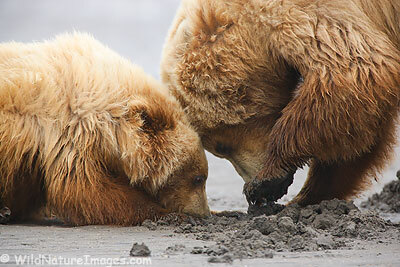 Brown Bears, Lake Clark National Park, Alaska. This cute little cub seemed to really enjoy playing with a empty clam shell! Here are more bear photos. I understand that puffin have the unique ability to catch and hold fish in their beaks, allowing them to continue to fish and capture more. Every puffin I saw with fish seemed to have at least 5! We just got home and are still beaming from an awesome trip! Although I loved spending time with the bears, puffin were actually at the top of my wish list. You see I often get requests for this beautiful bird, and live next to a very large population, but have never been able to photograph them up close until this trip. Now I can put an end to that frustration. 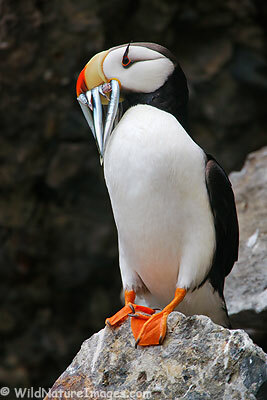 I have joked in the past that puffin really don’t exist – that they are just a cartoon character like Bugs Bunny. Having seen them up close and personal, I can attest that they are real, and they are spectacular! 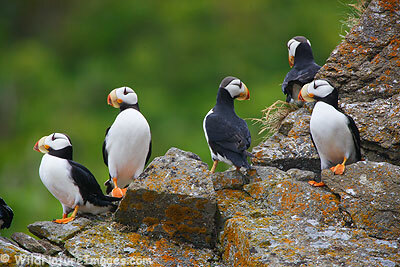 Here are more Puffin photos. 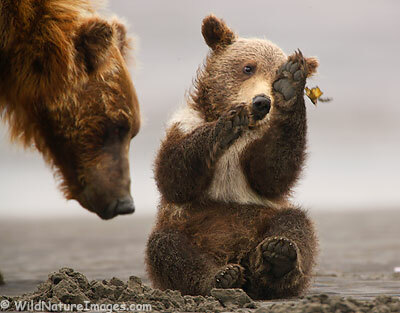 Brown bear sow and cub, Lake Clark National Park, Alaska. This sow was able to repeatedly dig up clams with incredible effectiveness. On the other hand, the poor cub dug and dug, but was never able to find a single clam – at least while I watched. I don’t think it had learned exactly where to dig just yet. After awhile, the cub went over and began watching his mom very, very closely – it was really fascinating to watch. I don’t know if he was a very attentive student, or just really hungry! Since we have some brief internet access, I thought I would post a quick update. As you can probably tell, we are having an awesome trip! 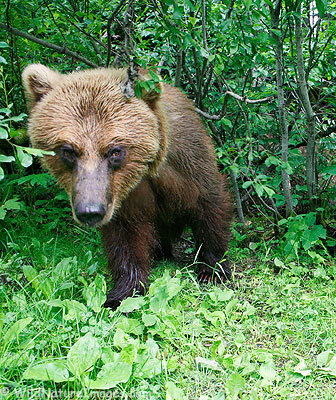 Here are more brown bear photos. We made it to Lake Clark National Park, Alaska and it didn’t take long to find bears. Lots of bears! And as you can see, we are even picking up internet. Lake Clark National Park photos. I moved my remote setup from the stream to this trail leading to the stream. It isn’t as scenic of a location, but it is safer for my camera gear 🙂 , and had more predictable bear activity. This one turned out pretty good, but I want to keep improving on the idea. 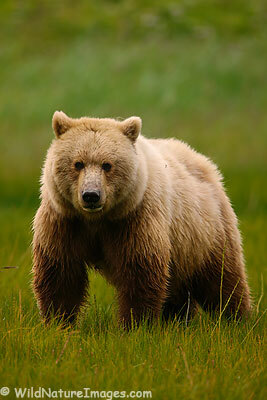 Brown bears sure have big heads!